From the oldest garden in the country to the largest collection of tropical bonsai trees in the world, gardens on the East Coast of the United States are well worth exploring. 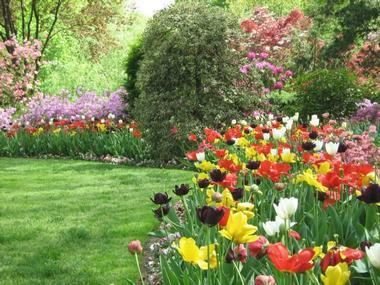 Plan a weekend trip to one of these stunning gardens and relax surrounded by beautiful colors and unique landscaping with waterfalls, bridges and walking trails. Many of the gardens that made our list are spectacular year-round, while others are at their best in the spring, summer and fall. 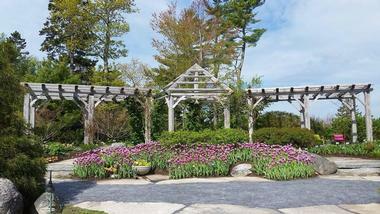 Stretched along the waterfront on Barters Island Road, overlooking Boothbay in Maine, Coastal Maine Botanical Gardens is a popular botanical garden that features a modern visitor’s center, seasonal café, and gift shop. The Gardens are home to a range of interesting and informative gardens, including the Giles Rhododendron Garden with a breathtaking multi-level waterfall; the manicured Rose & Perennial Garden; the Lerner Garden of the Five Senses – see, hear, feel, touch, and taste your way through; the Bibby and Harold Alfond Children's Garden, which offers two acres of fun for the whole family inspired by Maine children's literature; the Burpee Kitchen Garden; the Slater Forest Pond; and Vayo Meditation Garden – a haven of peace and tranquility. The waterfront Fairy House Village encourages children to use their imagination to build homes for fairies and folk of the forest without disturbing the environment, while adults can admire the many sculptures by local artists that are scattered throughout the gardens. 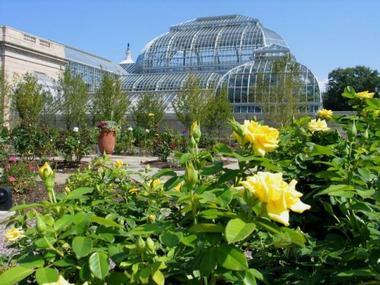 2.United States Botanic Garden, Washington D.C. Established by the U.S. Congress in 1820 more than 200 years ago and based on the grounds of the United Stated Capitol in Washington D.C., the United States Botanic Garden (USBG) is the oldest continually operating botanic garden in the U.S. 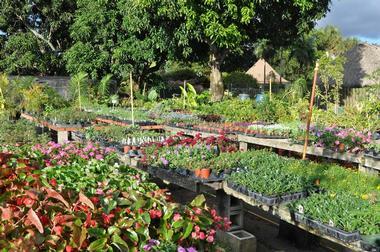 The historic botanic garden and living plant museum focuses on the importance of plants to earth's fragile ecosystems and the people and animals that live in them. The USBG proper consists of three different locations, namely the Conservatory, Bartholdi Park, and the Production Facility. The Conservatory is made up of individual rooms that simulate different environments, including the Garden Court, Rare and Endangered Plants, Orchid, Hawaii, and Garden Primeval. The Jungle boasts a high catwalk in order to view the canopy from both above and below, and a special Children's Garden offers a courtyard with a magnificent display of temperate annuals to encourage an interest in plants. Things to Do in Washington D.C. Founded in 1935, Mt. Cuba Center is a beautiful botanical garden and historical preserve located in the gentle rolling hills of the Delaware Piedmont. 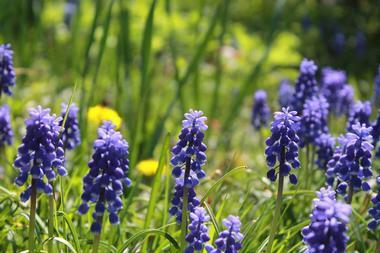 Established to inspire and educate visitors about the beauty and value of native plants of the region, the gardens feature pastures, fields, forests and woodlands, and are home to some of the most spectacular displays of wildflowers in the mid-Atlantic region. Mt. Cuba Center’s breathtaking display gardens are spread over 50 acres, with an impressive plant collection of eastern North American flora, focusing on the Appalachian Piedmont. The gardens encompass a broad range of landscapes and display gardens, ranging from the more formal gardens of Lila Alleé and the South Terrace to the natural terrain of the Dogwood Path, Pond Garden, Rock Wall, and Woods Path. 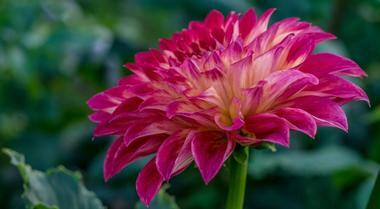 The gardens are open from April through November. Public tours are offered on Wednesdays and Thursdays while private tours can be arranged by appointment. Bayard Cutting Arboretum is a park in the Long Island State Park Region that was donated by Mrs. William Bayard Cutting and her daughter, Mrs. Olivia James, in memory of her husband, William Bayard Cutting. 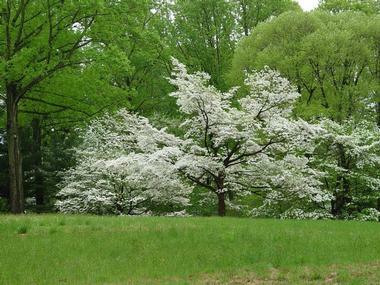 Located in the hamlet of Great River on Long Island, the gardens were designed by Frederick Law Olmsted, and are listed on the National Register of Historic Places as one of the last remaining estates on the South Shore of Long Island. 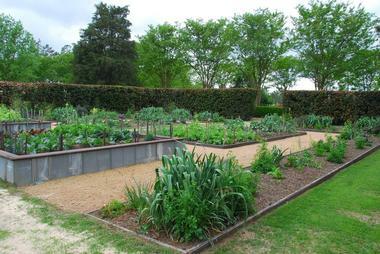 The gardens offer a range of activities, tours, workshops, and programs for the whole family. There is a beautiful nature trail to walk, as well as a variety of recreational programs, the Hidden Oak Café for homemade refreshments, and a gift shop at Westbrook. Sailors' Snug Harbor is a cultural center formed around a collection of architecturally significant 19th-century buildings along the Kill Van Kull on the north shore of Staten Island. 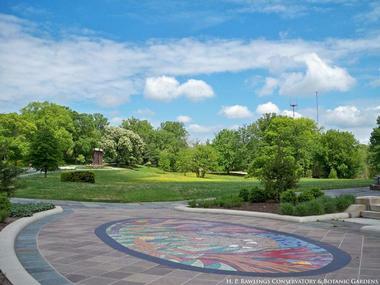 Once a home for aged sailors, the center also boasts a beautiful botanical garden and is a National Historic Landmark. Forming part of this important cultural center are the Staten Island Botanical Gardens, which include the White Garden, an exquisite garden inspired by Vita Sackville-West’s famous Sissinghurst Gardens, and the New York Chinese Scholar’s Garden, which is an authentic Chinese Garden built to reflect the famous gardens of Suzhou. Another highlight of the gardens is Connie Gretz's Secret Garden, which boasts a mysterious walled secret garden, winding maze and a castle. 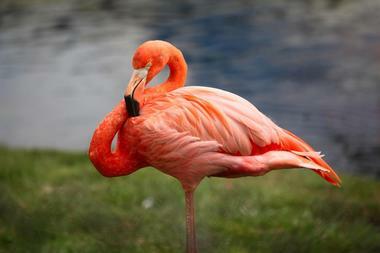 Flamingo Gardens, Botanical Gardens, and Everglades Wildlife Sanctuary is a tropical paradise set in the heart of Florida’s Everglades. Home to over 3000 species of rare and exotic, tropical, subtropical, and native plants, as well as some of the largest trees in the state of Florida, the Everglades Wildlife Sanctuary also hosts a variety of permanently injured and non-releasable birds and animals, and native wildlife. Attractions in the sanctuary include the Wray Botanical Collection, which boasts the largest tree in Florida, and the Everglades Wildlife Sanctuary, which has the largest collection of Florida native wildlife in the State, as well as a premiere River Otter breeding program. Enjoy a fully narrated tram ride through the gardens, which takes you through some of South Florida’s last remaining jungle, a unique hammock of 200-year-old Live Oaks, and tropical fruit groves. 7.Tudor Place Historic House and Garden, Washington D.C. Built in 1816 by Martha Washington’s granddaughter and her husband and home to five generations of her descendants, Tudor Place is a beautifully preserved Federal-style mansion in historic Georgetown, D.C.
A National Historic Landmark, Tudor Place connects visitors to the history of the landscape and a sense of what it was like to live and work there from the 18th to 20th centuries. Set on 5½ acres, the gardens at Tudor Place boast manicured lawns, garden structures and ornamental garden rooms that act as a historical record of changing land use over time. The gardens can be explored via a network of walking paths through “garden rooms” that identify past and present uses, including orchards, rose gardens, tennis lawns, quiet groves and fountains. The grassy Bowling Green features a charming lily pond. 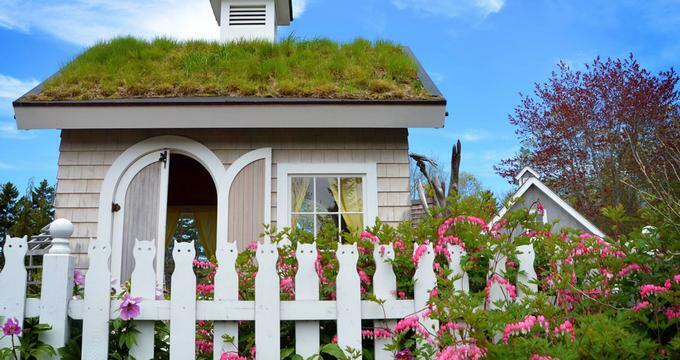 Heritage Museums and Gardens is located in historic Sandwich, Massachusetts and features three galleries for American Folk Art, automobiles, special traveling exhibitions, and beautifully maintained gardens. 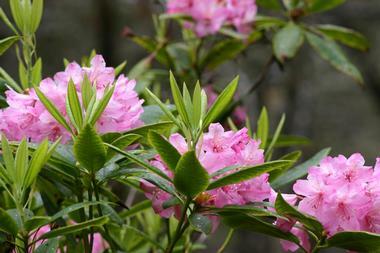 The highlight is the collection of thousands of rhododendrons, including the world-renowned Dexter variety, with the garden attracting visitors in flocks to see them in bloom from Memorial Day Weekend to mid-June. Other horticultural areas of interest within the gardens include lovely heather, hosta, herb and daylily gardens, as well as a host of trees, shrubs and flower species. The gardens are also home to the Hart Family Maze Garden and the Cape Cod Hydrangea Garden, as well as the Old East Mill, a beautifully restored 19th-century windmill, and a Marty Cain-designed labyrinth. Designed by world-renowned landscaping architect Frederick Law Olmsted, conservatory architects Lord & Burnham and botanist John F. Cowell, Buffalo and Erie County Botanical Gardens are one of America’s most beautiful botanical landscapes, located in South Park in Buffalo. The gardens feature a variety of both indoor and outdoor habitats and plant species from all around the globe, laid out in an easy-to-follow landscape. Specialty gardens include Florida Everglades, Panama Rainforest, Peace Garden, Healing Garden, Winter Garden, Cacti and Succulents, Ivy, Bonsai and Carnivorous Plants, and Ancient Rainforest, among others. The gardens also feature a number of artistic and photographic exhibitions and events throughout the year, as well as offer educational programs and workshops for both adults and children. Located in West Palm Beach in Florida, Mounts Botanical Garden is Palm Beach County’s oldest and largest public garden with over 2,000 species of tropical and subtropical plants from around the world. 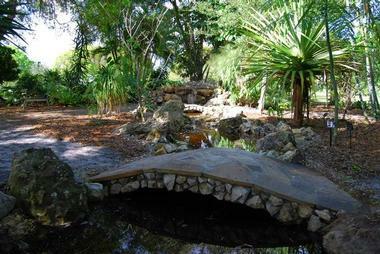 Mounts Botanical Garden’s fourteen acres feature a range of flora from Florida natives, edible landscapes, and the rarest of tropical fruits, to temperate North American trees, aquatics, and arid-land plants. 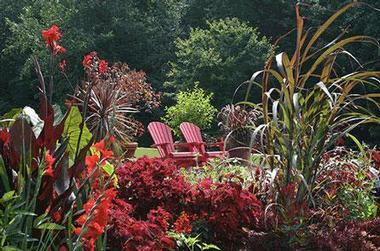 The gardens offer a variety of programs, events, and workshops throughout the year. The former residence of the Van Wickle family, Blithewold Mansion, Gardens and Arboretum is an exquisite estate overlooking Narragansett Bay, Rhode Island. 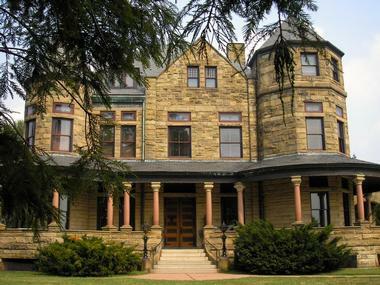 Established by Augustus and Bessie Van Wickle as their summer retreat in the 1890s, and spanning 13 hectares (32 acres), the estate is surrounded by four hectares (9.9 acres) of manicured lawns, as well as over 300 species of woody plants, shrubs and flowers, including both native and exotic species. Blithewold's grounds include species from all over the world, including North America, Europe, China and Japan, as well as what is said to be the largest Giant Sequoia on the East Coast, which stands over 100 feet (30 m) tall. A vast Yellow-groove bamboo grove covers an area the size of a tennis court. Situated in Vienna, Virginia, the Meadowlark Botanical Gardens is a botanical garden of extreme beauty that hosts a variety of events throughout the year, such as weddings and other special occasions. The gardens feature a beautiful atrium, natural ponds, gazebos and an island bridge, and are home to a variety of annual and perennial flora, including azaleas, ferns lilacs, and a herb garden. 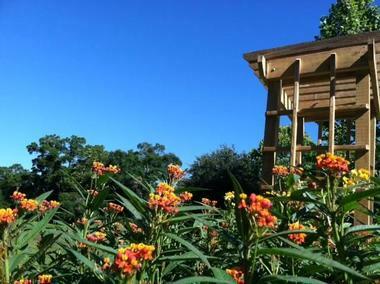 Comprised of 95 acres, the gardens boast an array of unique native plant collections exhibited in large ornamental display gardens, as well as a network of walking trails, lakes, ponds and hidden sanctuaries. The atrium enjoys an indoor tropical garden setting and is a popular meeting place, while the modern Visitor’s Center allows visitors to explore the natural world with a range of displays. The gardens come to light at night at Meadowlark’s “Winter Walk of Lights” where 500,000 lights illuminate the trees and displays of flowers between November and January. Located in the center of Jacksonville, Tree Hill Nature Center is an eco-driven nature center that focuses on education about the environment. The center spans 50-acres and three different ecosystems and trails, namely Strawberry Creek, Red Bay Branch and Howland Creek. The park features a range of areas to explore – the Animal Encounter provides an opportunity to learn about native animals, such as snakes, alligators, armadillos, and raccoons, while the Guided Trail Tour is a fantastic trail led by expert naturalists, who point out different animals, their habitats, and explain their survival techniques. A Tortoise colony is home to the threatened species of Gopher tortoise; an interesting Compost Area demonstrates how compost works; and the Butterfly & Hummingbird Garden is a seasonal hummingbird and butterfly sanctuary, which is highly popular with visitors. Dating back to 1886 and celebrating more than a century of gardens by the sea, Airlie Gardens in North Carolina delight visitors with breathtaking scenery, natural landscapes, and of course, the grandeur of the 467-year-old Airlie Oak. Created as a private garden for the Pembroke Jones family, the garden was transformed by German landscape architect Rudolf Topel, and still wows visitors today. Featuring 10 acres of freshwater lakes, a network of hiking and walking trails winding through both natural and formal gardens, historic sculptures and structures, and more than 100,000 azaleas which bloom in the spring, the garden is well worth a visit at any time of the year. Airlie Gardens host a highly popular Summer Concert Series which takes place every 1st and 3rd Friday, from May 1st through September 18th. The Howard Peters Rawlings Conservatory & Botanic Gardens of Baltimore (the Baltimore Conservatory), is a vast botanical garden and historic conservatory situated in Baltimore’s Druid Hill Park. Designed by George A. Frederick, the conservatory was opened in 1888 and features the 1888 Palm House, the Tropical House, the Orchid Room, Desert House and Mediterranean House, each of which displays various plants from all over the world. 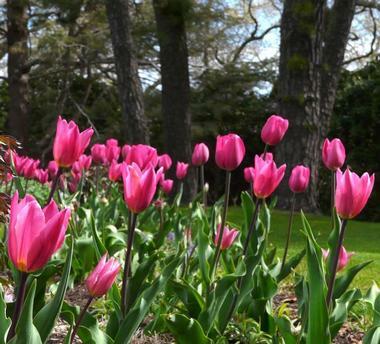 Covering 1½ acres, the Conservatory grounds are home to over 35 well-maintained flowerbeds. Each Sunday of the month, the Conservatory hosts an array of educational programs, workshops and demonstrations for adults and children. Maymont is a vast Victorian estate and public park in Richmond, Virginia, and home to Maymont Mansion, an arboretum and formal gardens, a nature center with native wildlife exhibits, and a Children's Farm. Maymont Gardens feature a beautiful Italian and Japanese Garden, as well as an arboretum with over 200 species of woody plants and trees. The Italian Garden boasts exquisite stonework, statuary, gazebos, fountains and colorful flowers, shrubs and trees, while the Japanese Garden is one of the estate’s gems, with a large koi pond and tranquil waterfall. The breathtaking beauty of the Italian and Japanese Gardens, as well as the quaint gazebos dotted about the Maymont estate, make for a popular wedding venue. Wildly beautiful, creative and inspiring, Moore Farms Botanical Garden is a dynamic 50-acre garden tucked away among fields of corn and soybeans in the rural Pee Dee region near Lake City in South Carolina. Boasting expressive plant displays in a pastoral setting, the garden combines rural gardening traditions with cutting-edge horticultural practices to create a modern day take on a traditional Southern garden. 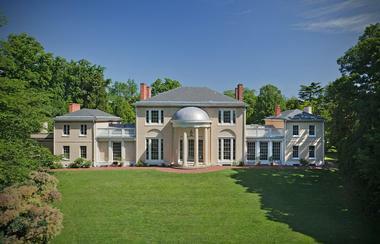 Featuring a diverse assemblage of garden areas, ranging from rolling meadows and verdant pine forests, to formal gardens and natural enclaves with signature views, the gardens beg to be explored, from the Firetower and Gardens, to the Green Roof and Living Wall, the Spring House and Pond Gardens and Pine Bay. Moore Farms Botanical Garden also offers a wealth of educational programs, community outreach workshops, and innovative research facilities. Located in Chatham County, southwest of historic downtown Savannah, Coastal Georgia Botanical Gardens is a 51-acre botanical garden that features a variety of collections, including winter-hardy palm and dwarf palmetto species, an impressive selection of camellia, native plants of Georgia and the largest American bamboo collection open to the public east of California. The gardens also display landscape roses, day lilies, bearded iris and seasonal annuals, as well as a newly completed Mediterranean-style garden. Other features of the gardens include a formal garden, a shade garden, a special children’s garden and the largest bamboo maze in the Western Hemisphere. 19.Hillwood Estate, Museum and Gardens, Washington D.C.
Once the residence of philanthropist and socialite Marjorie Merriweather Post, the Hillwood Estate, Museum, and Gardens is a renowned estate and museum in Washington D.C. Boasting an unrivaled collection of decorative arts, particularly from the House of Romanov, the estate is also home to pristinely manicured gardens and one of the country’s finest orchid collections. Designed in 1926 by landscape architect Willard Gebhart, the gardens span 25 acres and incorporate a variety of exquisite garden rooms, each focusing on particular flora types, such as the Lunar Lawn and the Rose Garden. The Japanese Garden is one of the estate’s highlights, featuring stone guard dogs and a tall granite lantern at the entrance, with sculptures and figurines dotted throughout the garden. Rhododendron State Park is a state national park in Fitzwilliam, New Hampshire. Designated a National Natural Landmark in 1982, the rhododendron grove is the largest in northern New England and was named after the Rhododendron Maximum, a beautiful 16-acre grove, and important focal point of the park. Encircling the forest is a 0.6 mile-long trail that visitors can hike to see the fragrant clusters of pink blossoms up close as they come into bloom in mid-July. A wildflower trail winds through the forest adjacent to the grove with wildflowers in full bloom from early spring to the first frost, creating spectacular natural scenes and views. This park is open all year round, however, is not staffed during the winter months. Resting on the banks of Lake Wylie, Daniel Stowe Botanical Garden is a garden for all seasons, providing over 380 acres of spectacular gardens, fountains, a stunning conservatory filled with tropical plants and orchids, and a network of walking trails to explore. Founded by Daniel J. Stowe, a retired textile executive from Belmont, the site of the gardens has a long history of use by its inhabitants – Native American Cherokee and Catawba tribes lived here before the area became home to early European settlers. Its vast, rolling meadows and grazing pastures have since been used for farming. Visitors can enjoy more than 110 acres of lush gardens, 12 sparkling fountains and ½ mile (800 m) of winding woodland trails. 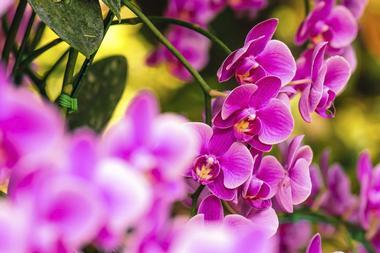 You may also like: 10 Best Botanical Gardens for Families. Home to the largest public display of tropical bonsai trees in the world, Heathcote Botanical Gardens feature an outstanding assortment of specialty gardens, ranging from an immaculate Japanese Garden and Tropical Rainforest Display, to a Native Plants Garden and a Palm & Cycad Walk. 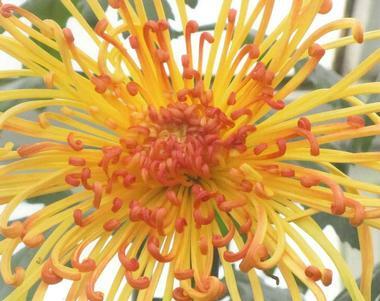 Located in Fort Pierce on the southeast coast of Florida, the gardens are home to native flora from Florida, as well as exotic species from across the globe, which are able to flourish in the semi-tropical environment. Specialty gardens are interspersed with enclaves of microclimates, which boast a variety of plants from Mediterranean climates to the Tropics. The gardens can be enjoyed on self-walking explorations or on guided tours with expert botanists, and there are a range of educational programs and workshops that are held in the gardens, such as Floral Arranging, Butterfly Gardening, and Decorative Crafting. 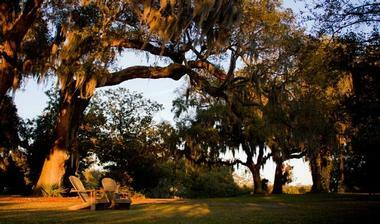 You may also like: 50 Best Florida Weekend Getaways.